Powerful tool that allows you to synchronize all your Woocommerce products with your Mercadolibre store in a simple and efficient way. MercadoLibre is an Argentine company that has positioned itself quite well in Latin America and Portugal, which is dedicated to purchases among registered users of its shopping, sales and online payments service. It has operations in its country of origin, as well as in Bolivia, Brazil, Chile, Colombia, Costa Rica, Ecuador, Guatemala, Mexico, Nicaragua, Panama, Peru, Paraguay, Portugal, Salvador, Dominican Republic, Uruguay, Honduras and Venezuela. All users can sell their products both new and used at a fixed price. This plugin Woomelly allows you to connect your shop designed with the Woocommerce plugin to your store in Mercadolibre. Making the process quite simple and efficient, allowing an optimal management of your products between both stores (price update, inventory, images, attributes, etc.). In this first phase communication is unilateral (from Woocommerce to Mercadolibre). We are working so that the communication is bilateral between both platforms as well as many new functionalities enough useful for our clients. 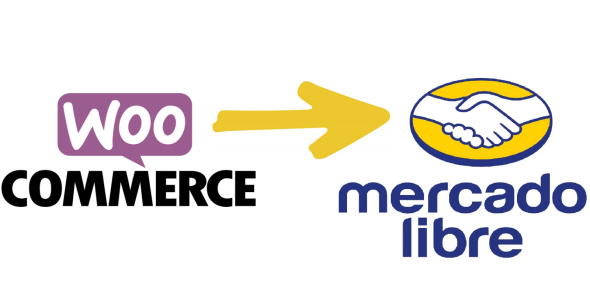 Synchronize products from Woocommerce to Mercadolibre. It allows all products to be simple, with variations, with attributes (technical sheet) *, real estate, services and vehicles. The technical sheet, as well as the universal codes, is the new requirement that Mercadolibre is demanding for countries such as Argentina and Brazil, which offers important benefits such as exposition of its publications in the list of products, better organization of information for future clients, compatibility with search filters, among others. Woomelly is 100% compatible with this integration. Manual and automatic synchronizations. The latter can be configurable by the user in the time interval it deems necessary. Update of price, inventory, images, information, attributes, conditions, guarantee, shipping and type of publication. It is important to note that at the moment it only allows the connection from Woocommerce to Mercadolibre. We are working to extend this feature and incorporate notifications from Mercadolibre. Individual and massive configuration (in batches) between publications. Contante updates to keep up with the changes demanded Mercadolibre. For now we only have Spanish language but we are working to incorporate Portuguese and English soon. Have an account in Mercadolibre. Have a store with Woocommerce. Preferably from version 3.x * If not, please write to makeplugins@gmail.com if you have any problem. HTTPS / SSL support in the backend (administrative section) of wordpress for authorization with Mercadolibre from Woomelly. If you need a special setting for your site or have a problem, please write to us by email at makeplugins@gmail.com and we will respond as soon as possible. Support in Spanish and English. Launch offer: We will provide Premium support to the first 50 customers who purchase the Woomelly plugin. To do this, once you have purchased the plugin, write us an email to makeplugins@gmail.com with your request and we will contact you to make the respective configuration of your store with Mercadolibre. In this way we provide you with the first configuration that can take you the most time and leave your site 100% synchronized.